Assesses the quality of all tankers, dry cargo, bulk carriers and project vessels proposed for use by Royal Dutch Shell Group Companies in accordance with the HSSE & SP Control Framework, the âStandard for Ship Quality Assuranceâ and the âRequirements for the Quality Assurance of Maritime Vesselsâ. Providing Maritime Assurance advice to all Downstream businesses such as T&S Crude, T&S Products, SELNG, Chemicals, Global Commercial, Manufacturing. Provision of the positive vetting of cargo transport vessels as detailed in the HSSE &SP Control Framework. Understand, manage and implement the âStandard for Ship Quality Assuranceâ and associated âRequirements For The Quality Assurance of Maritime Vesselsâ on the vessels offered for any forms of Shell employment. Vessels include local bunker vessels, regional trading vessels, international trading vessels, dry bulk carriers, project vessels, launches, hospitality vessels etc. Responsible for maintaining professional relations with all internal stakeholders (e.g. T&S, SELNG, Chemicals, Global Commercial, Manufacturing) and external stakeholders (e.g. Ship Owners, Oil Companies, Ship Managers, Industry Organisations).The application of established Shell assurance criteria for vessels nominated for Shell Group Business, prior to making a screening decision. Support the provision of vetting services on a continuous basis by engaging in collaborative activities as required. Maintenance of the Group Maritime Assurance System (GMAS) database of vessels. The management of incidents reported to STASCO, including proactive follow up with the technical operator responsible for the day to day management of the vessel involved. Support time charter assurance in the assurance of over 150 long term time-chartered vessels, in the fleets of some 60 technical operators. Obtain and Maintain Oil Company International Marine Forum (OCIMF) or Chemical Distribution Industry (CDI) accreditation at an appropriate level of competence to conduct ship inspections. Conduct Management Reviews of third party technical operators to determine acceptability for level of business. Recommend improvements to Maritime Assurance requirements and procedures to enhance the screening process. Class I Certificate of Competency Deck Officer (foreign going) or alternatively Class I Certificate of Competency for Engine. At least 60 months actual sea service aboard tankers, of which not less than 24 months as senior officer on board a tanker with a strong preference for experience on chemical tankers. Conversant with and ability to apply international legislation (i.e. MARPOL, SOLAS, ISM) and Industry Standards, codes and Guidelines (i.e. ISGOTT, ICS, IBC). Ability to remain rational, composed and professional under pressure is a distinct advantage to operate successfully in this role. It is essential that the incumbent is fluent in English and preferably Mandarin. Computer literacy with Shell internal applications and SharePoint, Microsoft Excel, Word, PowerPoint, Access, Outlook etc. Previous experience ashore in an operational or commercial role and/or external stakeholder engagement experience is considered as an advantage. The Ethylene Oxide (EO) catalyst technical service team is responsible for delivering technical services in support of Shell Catalysts & Technologiesâ EO catalyst business in the Asia Pacific region.The EO catalyst business is part of the newly rebranded Shell Catalysts and Technologies business which comprises of refining and petrochemicals catalysts, technology licensing and technical services. whether a future commercial role would interest and suit him/her, due to ample exposure in a commercial environment and hands on application of commercial excellence skills and tools in the role. 1. Service EO catalyst sales with a goal to retain incumbency and become customersâ trusted advisor by providing high quality technical service to help existing customers extract maximum value from using our EO catalysts. 5. Understands customersâ unit constraints and business needs and pro-actively start discussion with customers on next catalyst cycle operating conditions and catalyst options, technical and economic benefits with the goal of retaining the customerâs business. 7. Works with colleagues from other Shell businesses (eg. Chemicals, Trading, other catalysts types, technical licensing and services) to address customersâ needs/ambitions and maximize overall value for Shell. mediator between external service providers, Shell colleagues and customers. The key objective is to help enable delivery of the long term Marine business aspiration. Conduct Root Cause Analysis of product performance related claims. When required work closely with teams, and also with external customers if required. COC2 or Marine Engineering Degree with min 2 years sea going experience. materials selection and corrosion problems. If necessary, will be the focal point to enlist and co-ordinate the use of consultants, contractors and other specialists (internal and external). Manage airport OPEX and implement cost optimization initiatives including inventory management of critical spares for better efficiency. Possess a minimum diploma/degree ( Mechanical / Electrical / Chemical Engineering ) qualification with 5 years of experience in an oil gas or manufacturing industry. Good interpersonal & stakeholder management skills to manage people and relationships at all levels (with both internal and external stakeholders). Good track record in delivering business initiatives through a team. Resourceful, ability to work under pressure and under demanding dead line. The Connected Energy (CE) group is responsible for innovating, developing and delivering a portfolio of new products, services and business models in the Downstream Energy space aiming to meet the ever so complex energy needs of Industrial, Commercial customers and the evolving needs of communities. This activity will support and enhance Shellâs current power trading activities and aims to complement the existing sales and origination activities of Shell Energy entities (direct sales to large customers) and their channel partners (indirect sales to residential and SME customers). 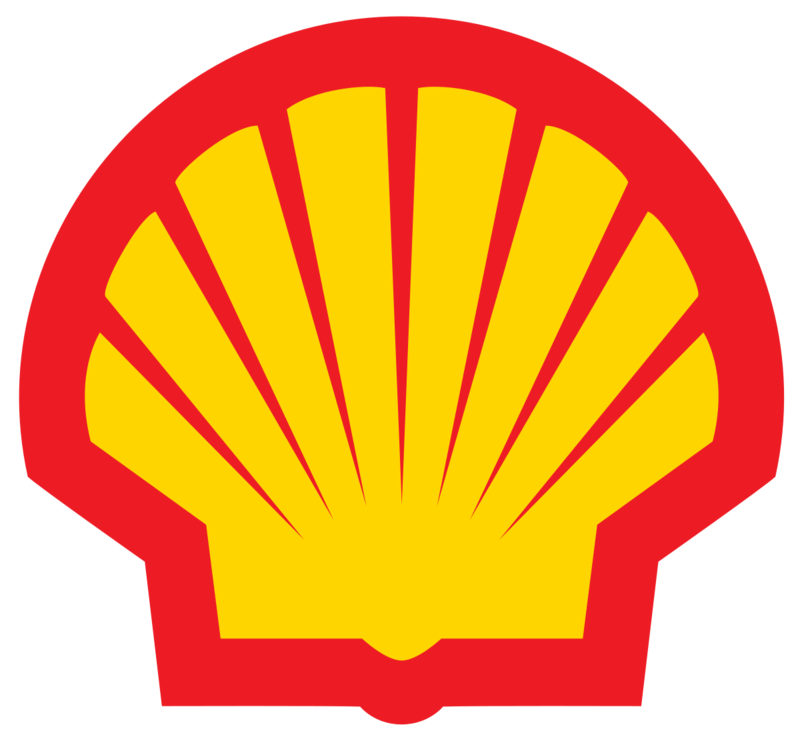 Today Shell Energy is active in North America (SENA), Europe (SE-EE) and expanding their footprint in Singapore, Philippines, Japan, China, Brazil, India and Australia. Shell is looking for innovative, motivated and experienced professionals ready to contribute to redefining how power and thermal systems will work in the future. As the Solutions Analyst, you will be a key member of the regional Projects Delivery team, providing the techno-economic and financial analysis that underpins the customer value proposition, creates value for Shell and appropriately prices in risks and benefits of the technical solution.The Analyst will work closely with the regional solutions development manager, deal delivery team, internal technical and functional experts, outside technical consultants and EPC partners.The analyst will deliver recommendations for client opportunities in the Commercial, Industrial, Campus and Institutional/public sector projects that improve resiliency, lower energy costs and/or achieve sustainability goals. This position will report to the Head of Projects and Delivery for Connected Energy Asia Pacific, with a dotted line to the Head of Technology and Analytics, working closely with the regional Solutions Development Manager and within Connected Energy for guidance in tool use and analytics work flow. Work with Projects Delivery Team to qualify potential opportunities, on basic technical and economic merits, and where projects may not meet standards then challenging the team and proactively recommending appropriate technical choices and/or commercial terms (e.g., price, contract tenor, risk management) to improve attractiveness to client and to Shell. Perform detailed techno-economic analysis and modelling to identify the solution range for an integrated solution, working closely with technical front- end design team, other internal functional expertise, and technical vendors as needed. Help structure design alternatives with technical counterparts, documenting key assumptions around customer energy use cases, regional environmental conditions, energy alternatives, and technical performance which impact the offering. Prepare complex techno-economic models outlining operational and economic characteristics of projects, project risks and customer benefits, to be used for internal capital approvals process as well as client proposals. Own and be accountable for the economic section of design proposal through internal Shell approvals process and client meetings.Present technical and financial solution to both Shell management and client management, as needed. Maintain expert proficiency in the latest Distributed Energy Resource (DER) technologies, including cost and performance attributes; the economics of distributed versus grid energy and trade-offs; and the value chain economics of hydrocarbon versus renewable technologies in the Asia Pacific region. Selectively create internal modelling and optimization tools for techno-economic modelling, but also be familiar with off-the-shelf tools for DER modelling, building sciences, and co-optimization of thermal and electrical systems. Proactively participate in techno-economic âcommunities of excellence,â using that forum to share local expertise, modelling tools, advancing knowledge on optimal technology configurations, sharing best practices and competitive knowledge; and developing case studies to advance the business. University degree in Electrical/Mechanical/Chemical Engineering, Mathematics, Physics or a related field, from an accredited institution. Additional training or specialization in energy systems engineering, energy systems optimization, and engineering economics is a strong plus. At least 10 years of design experience, technical sales or project development in the field of power generation, cogeneration, distributed renewables and energy supply. Demonstrated knowledge of central and distributed generation economics (e.g., solar PV, storage); distributed load control; and grid economics. Strong understanding of regional fuel pricing dynamics and cost build-up to power and/or thermal delivery, and how that impacts LCOE for different distributed technologies. Knowledge of capabilities and economics of âbuilding sciencesâ in areas of building automation, smart lighting, HVAC. Proven expertise at using energy models for optimizing distributed energy systems, particularly where there is import/export opportunity to a power grid. Outstanding analytical and quantitative skills to uncover best solutions, challenging initial designs and design assumptions. Innovative thinker, systems and solutions oriented. Strong team player, comfortable in uncertain environments with a rapidly changing business dynamic. Manage multiple interfaces and maintain effective collaboration with internal businesses and functions and external stakeholders and entities. Assist in developing solutions that result in shared value to Shell and customers creating integrated value in other parts of Shell as well as New Energies. As this is an evolving business for Shell, the successful candidate will be able to thrive and contribute in a fast-paced developing business environment. Multiple disciplines (technical, commercial, financial, legal, regulatory, external affairs) will have to be involved to develop and launch feasible options. New Energies is a newly formed strategic theme and line of business within RDS, focused on delivering one of the key elements of the Shell strategy. New Energies consists of Wind Operations, Wind Business Development (offshore wind), New Fuels (hydrogen, e-mobility, biofuels, GTL Marketing) and Energy Solutions (Energy Access, Connected energy, Consumer Energy). New Energies is an agile, risk-taking and fast-moving environment where everyone is expected to lean in. SWLNG in The Hague, SITME in Dubai and various downstream supply business units in the East. The Commercial Advisors in the said Contracts Unit are responsible for the management of the entire trading and supply Contracts process from pre-deal to and post-deal contractual activities, providing commercial/contractual advice on drafting and reviewing of contracts (including master agreements and confirmations for the derivatives and emissions trading business) and ad hoc problem solving involving trading and supply contracts. As the Contracts Unit functions as an integrated team supporting a myriad of activities carried out by various businesses within Trading & Supply, you will be called upon to provide support to various businesses in conjunction with resourcing optimization and personal development. These businesses include the physical crude and products trading and supply business, the emissions trading business, the derivatives and risk marketing businesses, the LNG trading business and the downstream LNG business. Provide direction, guidance, coaching and mentoring to Commercial Advisors and Contracts Support Analyst(s) and Operations Support Document Analyst(s) in close consultation with the Regional Contracts Manager on progression, development and succession planning. Anticipate and manage growth areas in the commercial business and allocate resources and work allocation of Commercial Advisors Contracts Support Analyst(s) and Operations Support Document Analyst(s) accordingly to support the commercial business in an optimal fashion. Manage resourcing strategies in consultation with the Regional Contracts Manager and undertake necessary job postings and candidate screenings as well as conduct requisite interviews for hiring of Commercial Advisors, Contracts Support Analysts and/or Operations Support Document Analysts. Provide pre and post deal commercial advice plus general contractual advice to support the Business objectives. Must be fluent in English (verbal & written). Fluency in Mandarin also highly preferred.